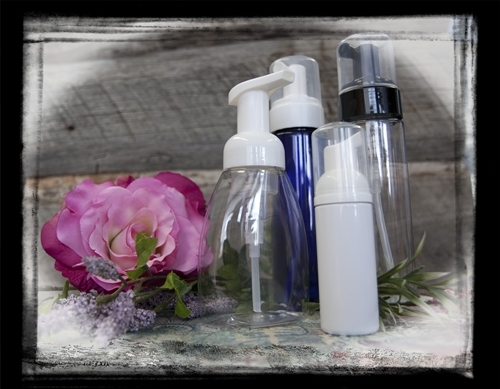 Foam Pump Bottles are the perfect way to dispense your Liquid Castile Soap. Bottle dispenses cleansing foam to make washing easier and more economical. Soap goes twice as far, no waste & no mess. Perfect for kids of all ages. Our new foam pump bottles are ideal in the kitchen and in the bathroom. Everyone will love washing their hands with the luxurious foam. Directions: Mix 1/4 to 1/3 cup of castile soap with 1/4 to 1/3 cup of water (distilled water if water is on hard side) and pour into foamer bottle. Its just that easy. Bottle dispenses cleansing foam to make washing easier and more economical. Soap goes twice as far, no waste & no mess.